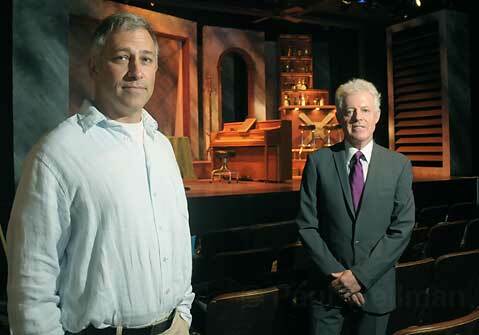 A real-life drama involving control of the theater in Victoria Hall became public last week, as the Unity Shoppe reacted to Ensemble Theatre Company’s announcement that it had entered into a pre-commencement agreement to lease the space for the next 30 years. The building, which is 88 years old and was once the First Baptist Church, is jointly owned by three nonprofits: CALM, RSVP, and Unity Shoppe. Although the building council-a committee composed of both representatives from the nonprofits and community members-voted by the required two-thirds majority to lease the Victoria Hall theater three weeks ago, the Unity Shoppe remains a holdout and is taking the decision to court. The deal came after more than a year of painstaking negotiations between Ensemble’s board chair, Derek Westen, and the Victoria Hall building council. The pre-commencement agreement states that on November 20, 2009, the Ensemble Theatre Company has, if it is so inclined, the right to lease the space for 30 years, provided it makes a number of improvements to the building. The Unity Shoppe, which voted against the plan, remains vehemently opposed, contending that it has fundraising needs for the theater space that would be disrupted by Ensemble’s tenancy. Unity Shoppe director Barbara Tellefson has criticized her partners in the Victoria Hall building association, accusing CALM and RSVP of failing to honor the spirit of the original joint ownership arrangement, which was established in 1987 in order to provide both a physical home and rental income to support this triumvirate of nonprofit organizations. 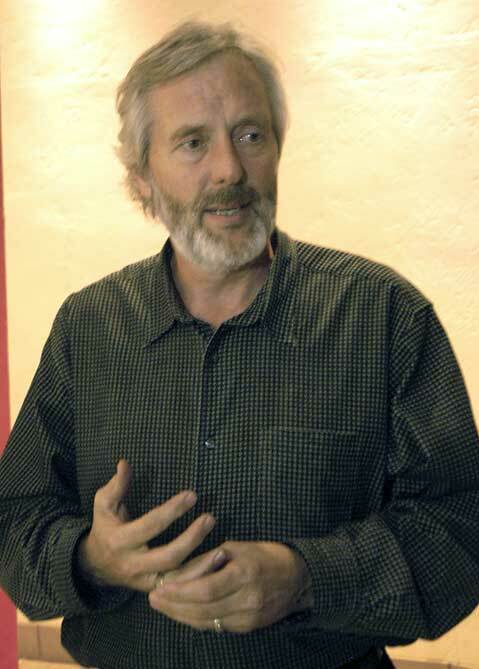 Tom Reed, speaking on behalf of Unity Shoppe, insists that that any future renovation or use of Victoria Hall by the Ensemble Theatre Company would be catastrophic for his organization, which operates out of multiple spaces all within a few blocks of its original offices in the basement of the building. For example, during the past five years, Unity Shoppe has conducted a once-a-year telethon in the space with production assistance from Cox Communications-prior to that time, the Unity Shoppe telethon took place at KEYT. In the existing pre-commencement agreement between the Victoria Hall building council and the Ensemble, a time slot in the annual calendar is reserved for the telethon to continue-a clause not contained in any prior lease agreements regarding use of the space. Nonetheless, in addition to the telethon, Reed cites a variety of fundraising activities that Unity claims would be inhibited by Ensemble’s renovation plans. A spokesperson for Ensemble claims that the space will continue to be available to Unity, with stage time configured to allow fundraising events to be held there. For the last nine months, the theater, which has been used by many performing arts organizations in the past, has been largely vacant. For Ensemble Theatre Company, the move to Victoria Hall represents a fine opportunity to “right size” its operation, which has struggled for more than a decade to make ends meet in the tiny, antiquated, and hard-to-find Alhecama Theatre on Santa Barbara Street. The Victoria Hall plan represents at least the third exit strategy devised by ETC since 2000. Initially, the city backed a move-based on a feasibility study that led to the renovation of the Granada-intended to put the Ensemble into a brand-new designated theater. This planned venue of approximately 350 seats was to have been built behind the Granada. The city approved $2.5 million in funding, but when the land part of the deal with the Granada fell through, so did the idea of building a brand new theater. At that point, the city took back $1 million of the pledge, leaving ETC with $1.5 million to put into the Alhecama to see if it could be made suitable for the ETC’s future.